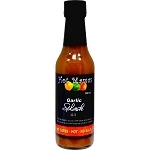 For those who like it hot! 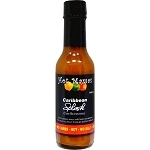 Caribbean Gold Splash is our hottest splash hot sauce! It is Gluten Free- No Artifical colours, preservatives or flavours- No fillers or Gums or thickeners and contains No Salt or Calories! 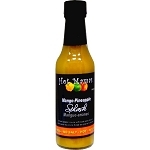 The slightly fruity flavours comes only from the hand selected and hand picked ripe yellow bonnets just for this sauce. 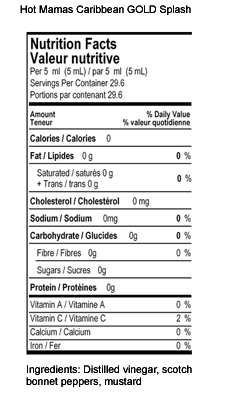 No salt-No Calories--100% Caribbean Taste Made in Canada. Ingredients: Vinegar, scotch bonnet peppers, mustard.